Several years ago, I inherited a shoebox full of papers when my wife's grandmother, Jessie Dibble Brown Hill, went into an assisted-living facility. In it were 60+ years of genealogical work she had amassed on my wife's family. For the sake of my two young boys, my niece and nephew, and to memorialize her lifetime of work, I set about putting all of her written records on their family tree into the computer. Another line of ancestors were the Denisons. Jessie's great-grandmother was Candace Denison, who married Ichabod Crippen Dibble. The Denisons were one of the early settlers of Connecticut. The Denison homestead still stands and is open to the public (http://denisonhomestead.org/). One of my discoveries, which only took a little bit of searching through existing family trees and published genealogies, was that her part of Denison family included the Starr family, another old New England family, which included within it the Brewster family. 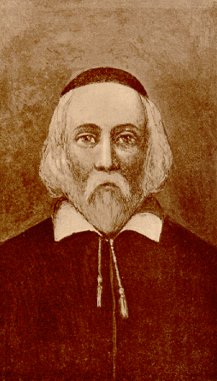 William Brewster, one of the leaders of the Pilgrims, is my sons' 11th great-grandfather. Several other Pilgrims also figure into their family tree. So I set about trying to fill in my family tree. What started with a little poking around, maybe filling in my missing great-grandparents, has turned into a serious hobby. Full disclosure: These opening blog entries are fakes. By that I mean that I've added dates to them after the fact to try to trace out and preserve the rough timeline of when I made the discoveries I did. The stories are real. But these aren't really blog posting. Only things posted after October 1, 2011 are true blog postings. I'm preserving these so that my children can perhaps someday see the work I did and how I discovered the things I've discovered about my side of the family. I also created this blog because only recently, as I started to seriously research my Italian heritage, did I discover that I may be eligible for Italian citizenship jus sanguinis (by blood). I'll talk about this more in later posts. So part of my interest in putting together this blog was to share my efforts to establish my Italian citizenship with others. Maybe this will all come for naught. We'll see how things turn out.